One does not have to be a scholar to understand that WWII impacted American society on many levels. The massive number of women who entered the workforce is a topic often discussed as having major repercussions. But in the early days of the war, company vacancies could be filled by doubling up a man’s workload. For the women, it was more acceptable for them to volunteer than take a job, so grandmothers, mothers, and daughters doled out donuts for the Red Cross, danced with young men at the USO, acted as airplane spotters, air raid wardens, and messenger girls. But as the war ground on, more and more men were called up or chose to enlist. The agricultural industry was hit particularly hard as more than six million men left the farms that fed not only Americans, but her troops and her allies. With crops rotting in the fields, the Federal government struggled to find an answer. Despite a rallying cry from journalists, celebrities, and even first lady Eleanor Roosevelt to use women to fill the vacancies, farmers and the Department of Agriculture sought any answer but that one. In fact, prisoners and prisoners of war were preferred over women! It took until 1943 to create the Women’s Land Army. 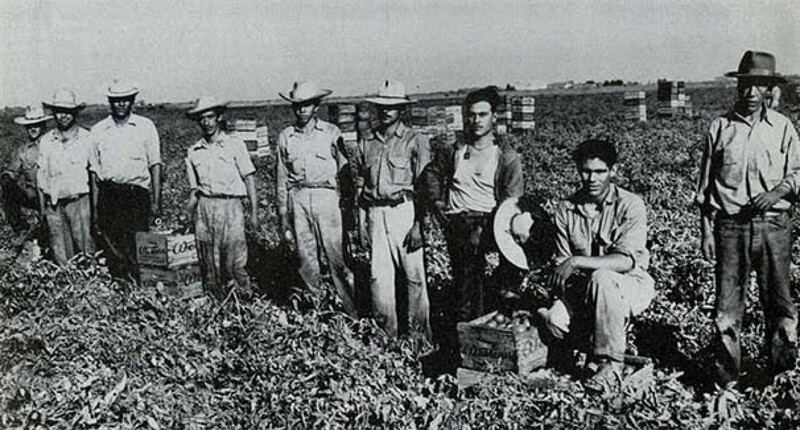 The word ‘bracero’ is a Spanish word that literally translated means ‘he who works with his arms.’ A highly controversial program, the Bracero bill was signed on August 4, 1942 and operated as a joint program with the State Department, Department of Labor, and Immigration and Naturalization Service. Months were required to hammer out the details that included how recruiting would be conducted, living conditions in the labor camps, salaries, and food. 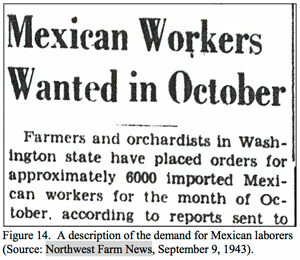 Laws were also implemented that dictated what the braceros could (perform manual labor) and couldn’t (drive tractors or machinery) do. The agreement also stated that the Mexican workers couldn’t be subjected to discrimination or be excluded from “whites only” areas. 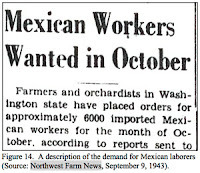 “Guest workers,” as they were called, came from Mexico to work the farms on contracts lasting from six weeks to six months, after which the young men would return home. Despite being a “temporary” solution to solve the labor shortage during the war, the program remained in place until 1964. 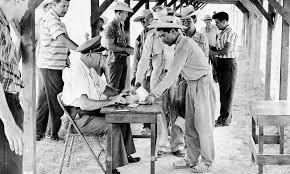 Ultimately, reports indicate that the braceros accounted for less than ten percent of the hired workforce between 1942 and 1947.